Big milestone! The last structural beam was put in place on the top level of the building. 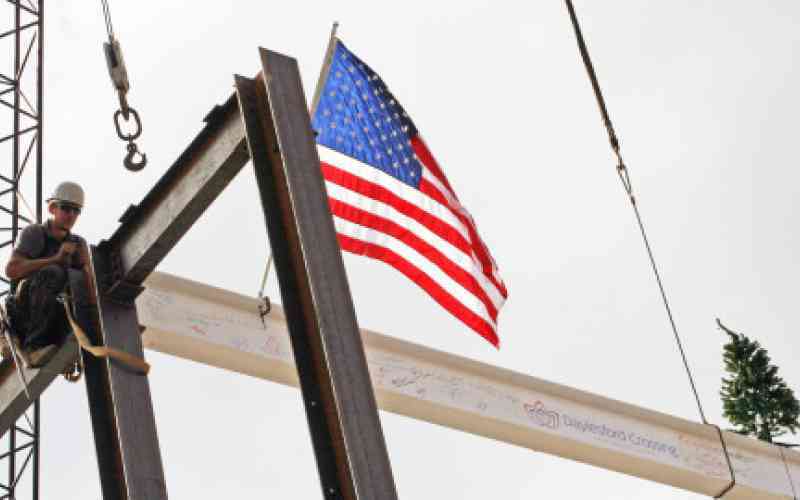 John Thorson of Norwood Construction explained the significance of ‘Topping Out’, “There are three key ingredients – the last beam, a flag, and a tree. The tree symbolizes the bringing of life to the new building and good luck to its future occupants.” The beam, painted white and ceremoniously signed by those associated with the project, was lifted to the top of the building by crane and then set into place by ironworkers. It can be seen from Lancaster Avenue. Construction is speeding along and is on target for a summer 2015 opening. We’re putting the finishing touches on our Welcome Center in Paoli Shopping Center and plan to open the doors December 3rd! Subscribe to our journal and watch our progress! Or, contact us to find out more. See more photos from our Topping Out in our Facebook Album.